D.J. 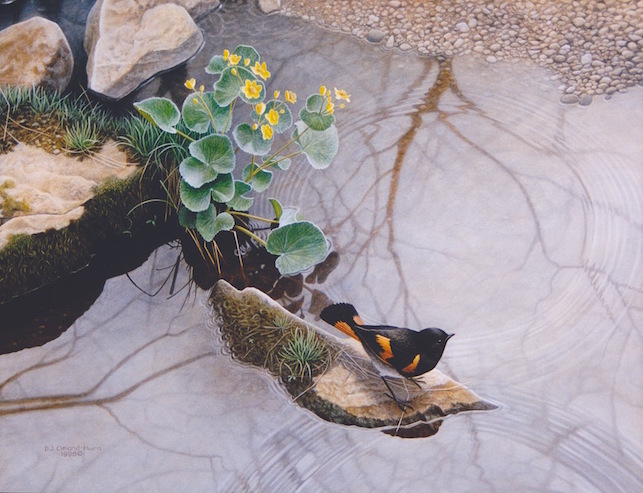 Cleland-Hura is a fine artist painting original pieces of landscape, wildlife, and figure art. He also does concept art for film and entertainment. Here’s a lovely painting that I’ve admired for years. What I most respond to in this piece is the wonderful marriage of abstract and realism. 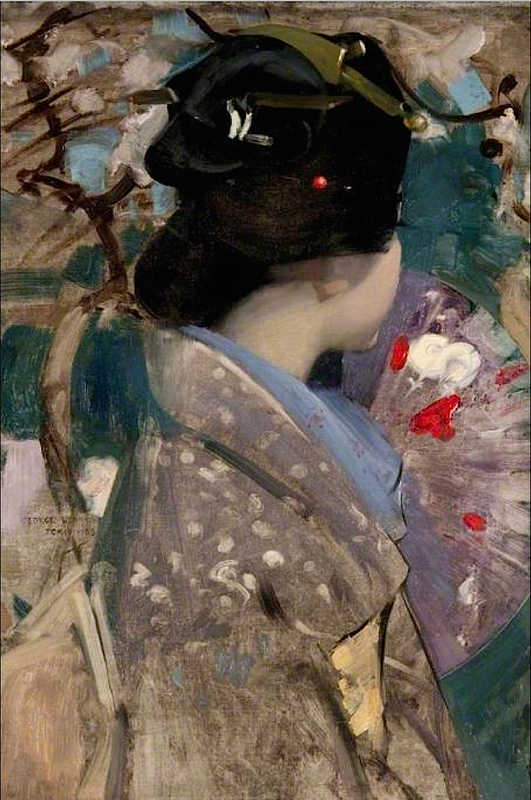 George Henry, a Scottish painter, masterfully designed a beautiful, rich canvas with varied colors and edges. For a relatively small painting, there is much to keep the viewer’s eye engaged, and the entire painting has a lovely decorative quality about it. Quite magically, we begin to realize the head of a geisha has been placed right in the center of the image. Her head is turned away in a demure fashion that enhances the mystery and intrigue of her character. It is also a clever device to help the artist keep readily identifiable features of her face from taking away from the overall abstract quality. My daughter and I went for a hike around one of our favorite little lakes yesterday. As we enjoyed the cool, crisp morning air, I was delighted to find that my daughter had transformed into a fairy who happily toured me around her wooded home. She pointed out wonderful signs of spring growth and colorful changes to the lakeshore. We saw a beaver dam and many freshly felled trees awaiting their place in the woven wall. She also spotted the young lily pads, tightly rolled below the surface of the water, about to emerge and unfurl before they blossom. My fairy guide said she can’t wait fly out and sit on the lily pads where she can talk to the frogs. Lucky her! As we begin to thaw from the winter chill, we look forward to longer days and the return of our feathered friends from holiday. I like to imagine nature is a great theatrical stage and the critters are the players. Birds are my favorite “actors” and always add a spark of life to a wilderness experience. Here’s a little touch of spring for your viewing pleasure! When I decided to paint a river otter, I wanted to capture the spirit of an animal that straddles both aquatic and terrestrial realms. As a mammal, the otter is most closely linked with other small land-based critters. But the otter is probably happiest in the water where it has evolved into a sleek, supple swimmer. I wanted to celebrate both sides of the otter. 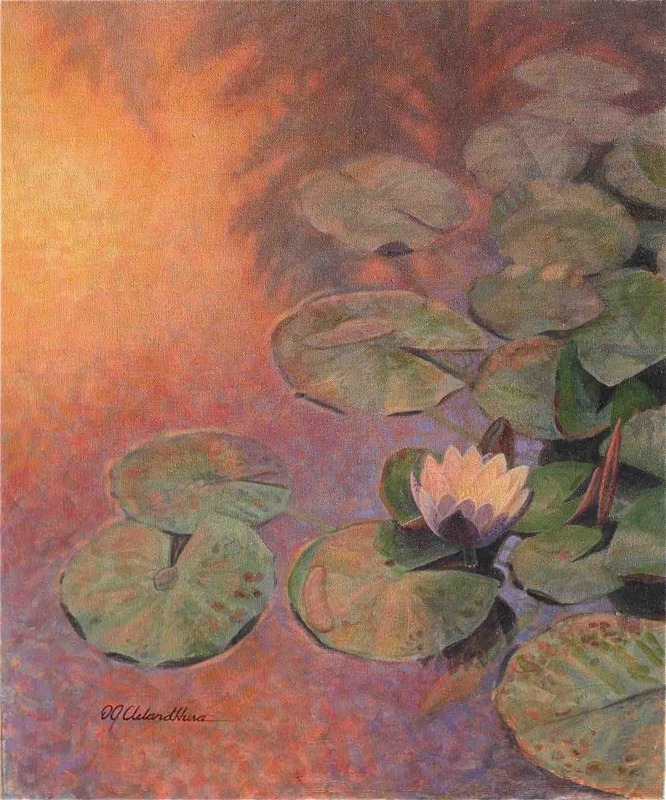 The concept of the otter painting came from thinking of the otter’s complementary opposite worlds; land and water. 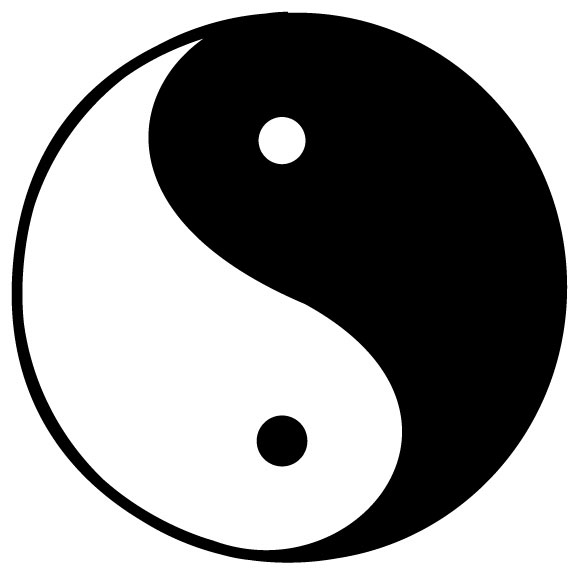 With this is mind I decided to create a composition based on the Chinese yin and yang symbol. You can see the S shape divide between the water and rock, and the dark of the otter opposite the light, reflective water. 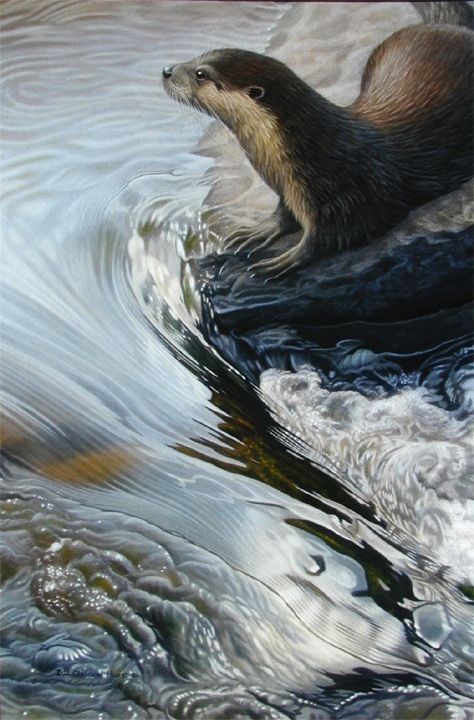 The otter’s curved body and the bubbling water in the lower left help guide the eye around and back into the painting. I wanted the water itself to emulate the smooth, twisting nature of a swimming otter while the otter itself is at rest. This helps visually link the animal with its environment while maintaining an overall calm, almost zen-like feeling. Sometimes I just do a painting for fun. This little study was about exploring textures and the hierarchy of mouth sizes for some fantasy creatures. This was done right after university when we didn’t have much. At the time (over twenty years ago), I came close to painting over it because the board it was painted on seemed more valuable to me than the image. I don’t remember exactly what happened, but I suspect my wife convinced me not to erase it. This was not an isolated case. Someday I’ll talk about the power and importance of an artist destroying their work. Now when I see this piece it is a warm reminder of that place in time. It’s a fun little painting, but what it represents in my history and evolution is what I really enjoy. 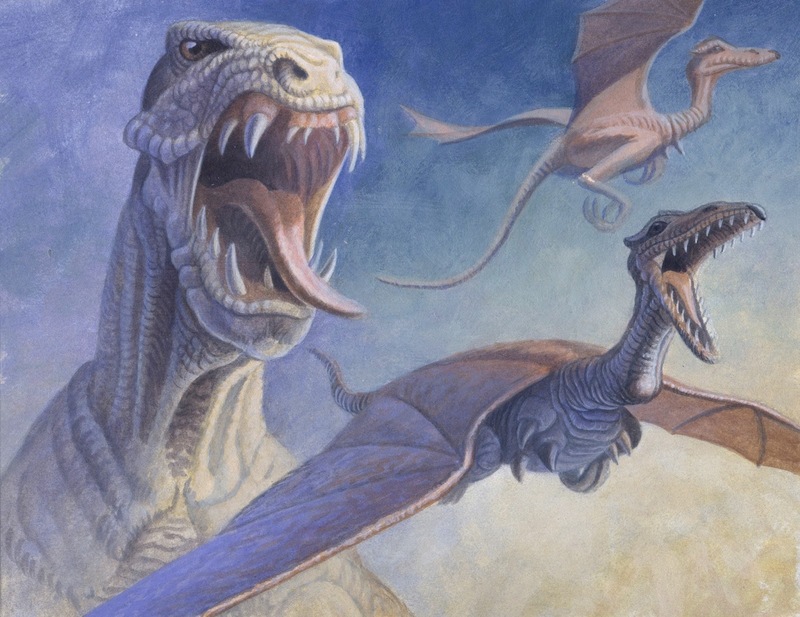 Based on the colour palette, I was probably inspired by James Gurney’s Dinotopia which had recently been published. I was also starting to become involved in painting Magic Cards for Wizards of the Coast so fantasy subjects were on my mind. In the end I’m glad this one made the cut! These two images are my own work, and will be included in the Miniature Show at Collector’s Covey Gallery. You can learn about the show here and see my past work for it here. 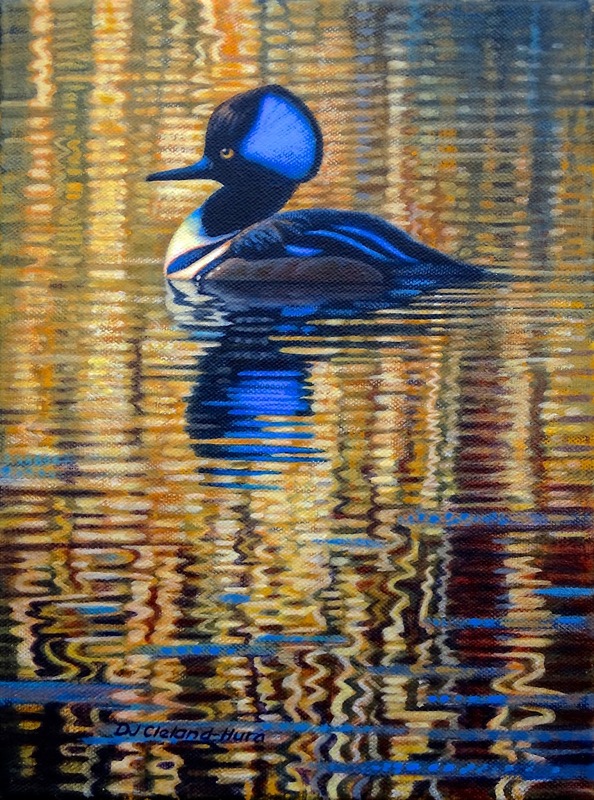 Sometimes, especially on small paintings, I depict my subject matter in a vignette style. This means that I create a fairly simple background without the environment that clearly allows the focus to be on the animal or bird. This doesn’t mean the background is not important. The colors and textures chosen need to compliment the subject and are hopefully interesting unto themselves. This a technique often employed by portrait artists to showcase the sitter. I like giving our furry and feathered friends this same treatment! 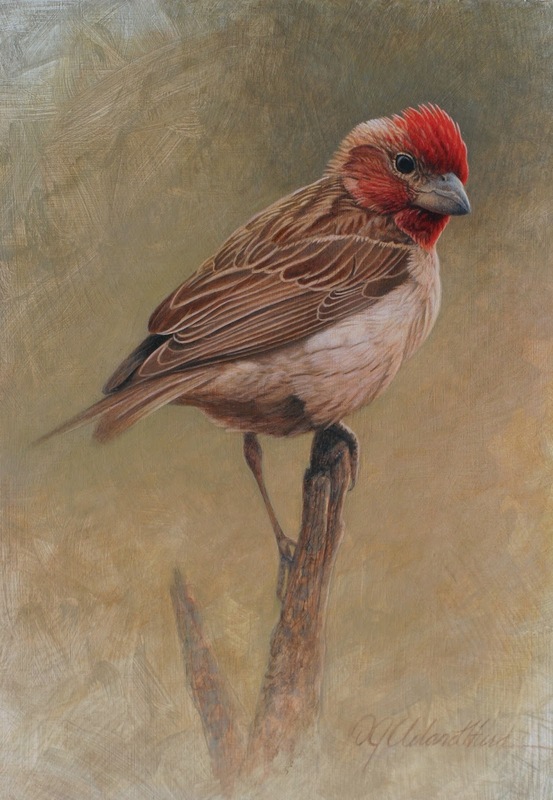 I was fortunate to have permission to use Frank Cleland’s wonderful photo of a Cassin’s Finch for my painting “Poised”. His photo lent itself to the vignette style because it was shot with a telephoto lens that blurred the background. 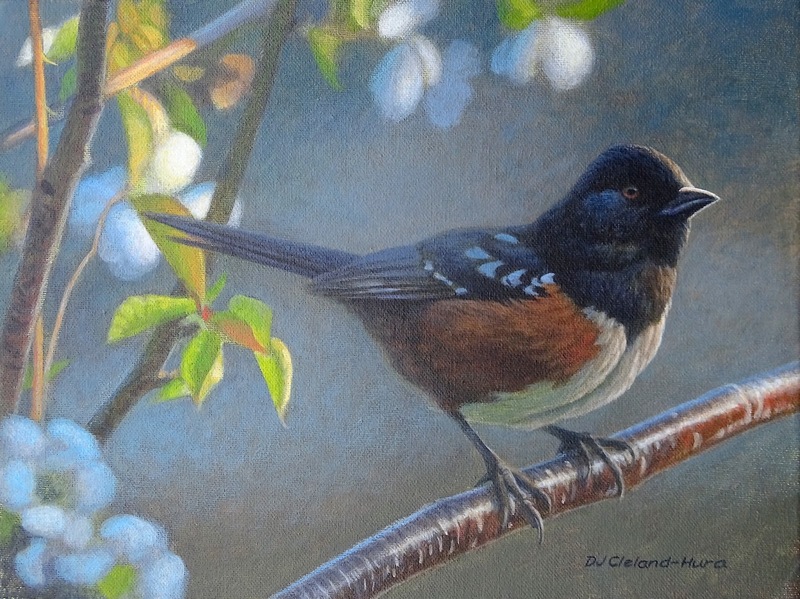 I used specific colors to show off the bird, and subtle brushstrokes to help keep the background from feeling flat and lifeless. I also faded the branch into the background to remind the viewer that, while realistically portrayed, it is a painting and not a photo. 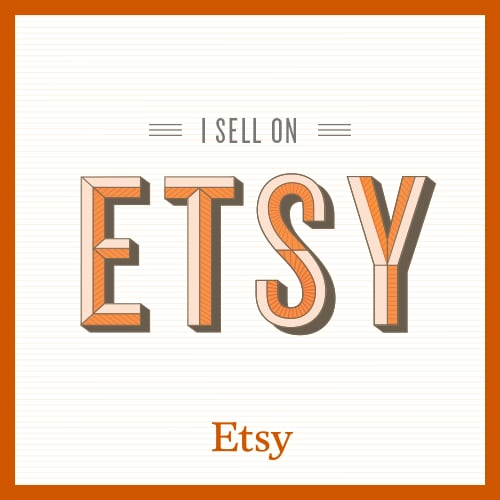 Visit DJ Cleland-Hura Fine Art Cleland's profile on Pinterest. © 2014-2015 DJ Cleland-Hura. Awesome Inc. theme. Powered by Blogger.